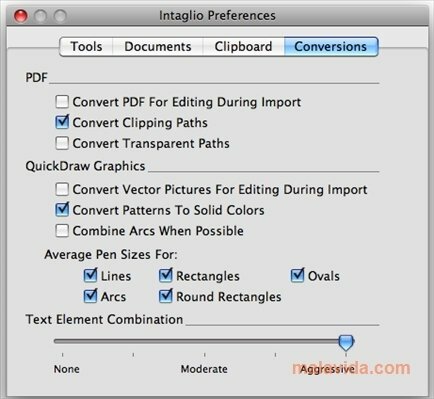 Drawing and illustration applications have a new competitor called Intaglio. 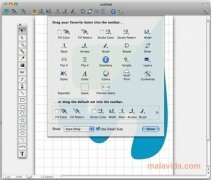 This software, exclusive to Mac, allows you to create all kinds of drawing and illustrations making the most of the computer's power. 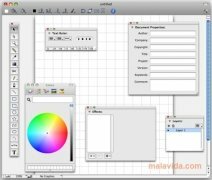 It isn't focused on any kind of specific user, thus both experts as well as inexperienced users can use it, and it provides very complete tools for this kind of task. Intaglio is based on 2D graphics and allows you to include colors and text. Furthermore, using the keyboard shortcuts you will be able to gain agility in the software usage. 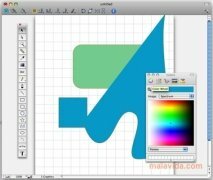 You can use your old drawing created with ClarisDraw or MacDraw II/Pro and keep on developing them with this new software. 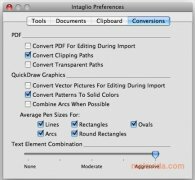 - Convert PICT files into Quartz editable graphics. 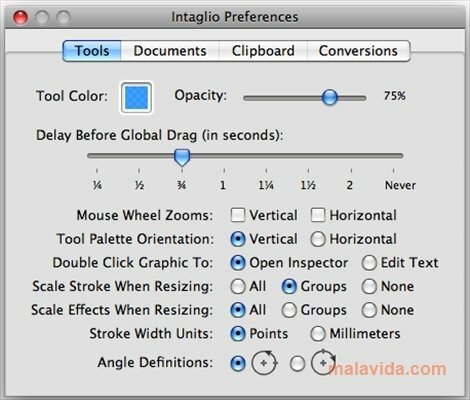 - Scaling and size tools. 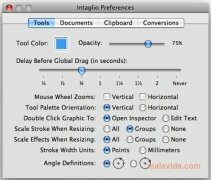 To create drawings and illustrations on Mac you have Intaglio, a perfect tool to create professional images. This download requires Mac OS 10.3.9 or above. 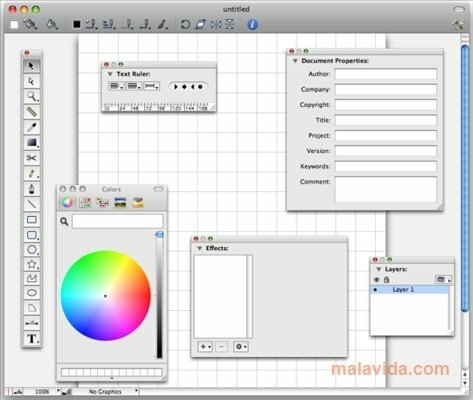 Note that some of the software's function only work on Mac OS X 10.4 or above. The trial version doesn't allow to store and the print out adds a watermark to the exported drawings.